Sign up for Broadjam today to follow Shun Ward, and be notified when they upload new stuff or update their news! 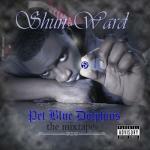 Shun Ward's follow up release since his 2010 EP, Prelude To Shun Ward City. This R&B mixtape is becoming the blueprint for modern R&B. Shun Ward is doing something not seen since Donny Hathaway, he is painting his generation in song.